Fast Response Unit #3 was called for a late night tow on May 22, 2016. Capt. 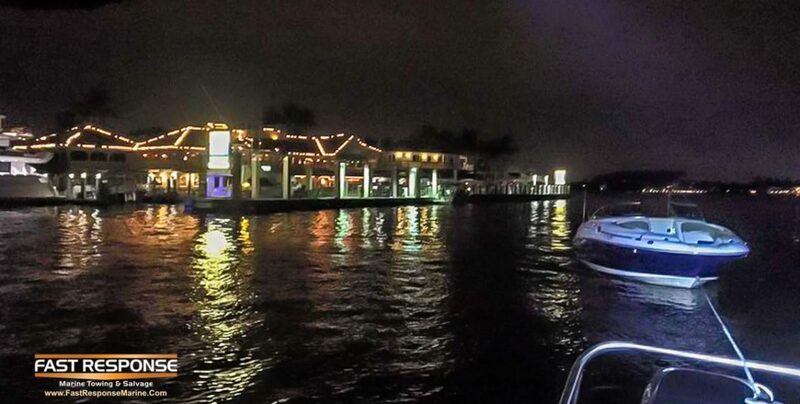 David made the run in calm seas to tow at 24′ Sea Ray up Dania Cut. “I couldn’t have asked for any better weather!” he reported.